Is it time for Roach to pull the plug on Chavez Jr? By John F. McKenna (McJack): With the announcement that former World Boxing Council (WBC) middleweight champion Julio Cesar Chavez Jr. (46-1-1, 32 KO’s) tested positive for marijuana in a post fight urine sample following his fight last Saturday night with new WBC champion Sergio Martinez (50-2-2, 28 KO’s) it is now clear that Julio has become a problem child for trainer Freddie Roach. The full ramifications of the positive test are not yet known, but it has been speculated that Chavez may lose the $3 million dollar purse he earned for the fight and could possibly face a one year suspension. Top Rank CEO Bob Arum at first attempted to downplay the significance of the latest development by saying that marijuana is not a performance enhancing drug. Despite what Arum says however marijuana is a banned substance. The decision as to whether Julio will be stripped of his purse may in fact depend on the explanation he gives to the Nevada State Athletic Commission. This is not Julio’s first go around with regard to testing positive for a banned substance. In 2009 Chavez was suspended for seven months for using a banned diuretic. His 10 round decision victory over Troy Rowlands was changed to a no contest as a result of the infraction. Even before this latest episode the 24/7 reality boxing show highlighting Chavez and Maritnez, exposed Julio’s immaturity and lack of self discipline as a fighter. Roach was frequently left waiting and wondering whether Chavez would be late for his scheduled training sessions or if he would even show up at all. It begged the question to be asked, why was Roach putting up with a fighter who was frequently a no show in training. It appeared to some extent that Chavez failed to recognize the significance of the moment in that he was about to face the hugest challenge of his career in taking on Sergio Martinez. To blow off a training session with Roach and decide that he would instead train at home seems to be just a tad bit preposterous. Roach at times appeared to downplay the situation by saying that as long as Julio got the training in it didn’t matter whether the training was done at home or in the gym. In retrospect however it did matter. Chavez did not appear to be in top form against Martinez. And while it could be argued that Martinez is indeed a superior fighter and may well have defeated Julio anyway it does not bode well for him that he came up dirty in the most important test of his life. Boxing » Freddie Roach » Is it time for Roach to pull the plug on Chavez Jr? 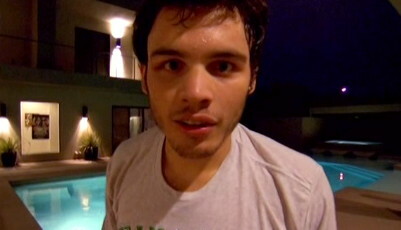 More boxing news on: Chavez Jr-Martinez, Chavez Jr. vs. Martinez ,Freddie Roach, Julio Cesar Chavez Jr.